In Germany, Austria, Switzerland and other German speaking countries, the feast of Saint Nicholas on December 6th is much anticipated by the children. Traditionally, children would leave their shoes under their beds or outside their room for St. Nicholas to fill with candy on the evening of December 5th. Other countries may also celebrate this feast, but for the German speaking countries it is a major feast and a day to focus on the goodness of Saint Nicholas as a holy man and follower of the Lord. Saint Nicholas was the bishop of Myra, a city in modern day Turkey. 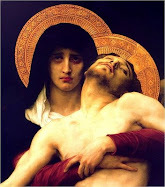 Because he lived in the early days of Christianity, the details of his life are not clear, but one thing is certain, he reflected the goodness of Christ to others, especially to the children and the suffering. 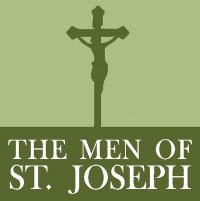 Over the centuries his feast day was observed by the Church at the beginning of the Advent season. Unfortunately, in Germany, the country that so honored this saint, the Protestant reformation took hold, led by Martin Luther, an Augustinian monk. 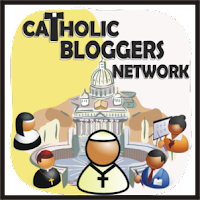 Part of the separation of the Protestants from the Church included the dismissal of the honoring of saints. 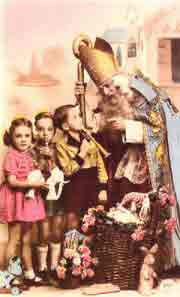 Some historians say that this was what promoted the image of "Santa Claus" over that of Saint Nicholas. Well, I say it's time to reform Santa Claus back into Saint Nicholas! 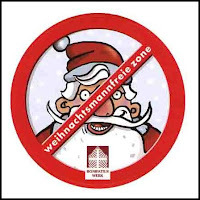 In fact in Germany, where there was a creeping advance of Santa Claus, there is now a movement to create"Santa Claus Free Zones"! Prepare the way of the Lord....Make room for Saint Nicholas!